IMMACULATE HOME WITH MANY DESIGNER UPGRADES! FEELS LIKE A MODEL HOME*HOME IS LOCATED IN A QUITE GATED COMMUNITY. BEAUTIFUL MOUNTAIN VIEWS. VERY OPEN AND SPACIOUS. SEPARATE DETACHED GARAGE ON A HUGE LOT. ONE OF THE BEDROOMS IS BEING USED AS A FORMAL DINING ROOM* THE COMMUNITY OFFERS HEATED POOL, RAMADAS, PLAYGROUND AND SPORT COURT. THIS HOME IS A MUST SEE!! PRICE REDUCED FOR A QUICK SALE!!! !NOTHING ELSE COMPARES IN THIS PRICE RANGE. BEAUTIFUL HOME!!!!!!!!! 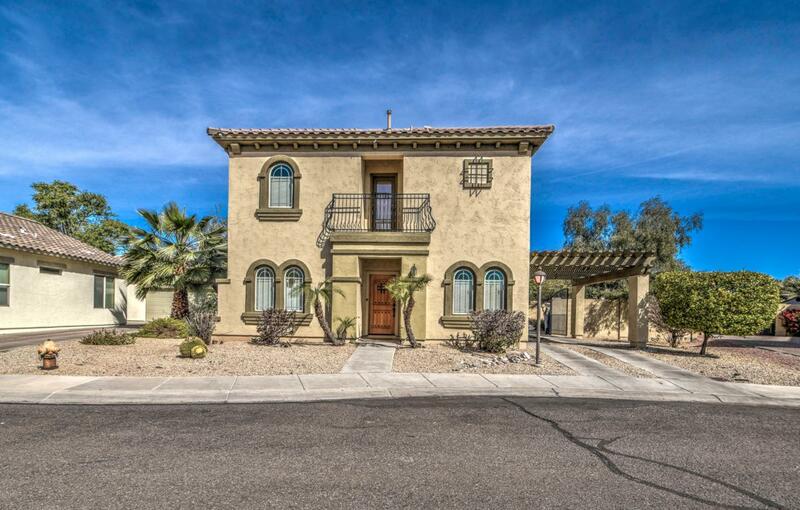 !This is a delightful home located in the heart of Mesa. Literally a couple minutes from the 202 and US-60 you'll have a hard time finding a more prime location than this gem. The first thing you'll notice is the amazing curb appeal for this home. When you walk in the door you'll appreciate the stunning entry way. Cross Street University & Sossaman. Listing courtesy of At Home Real Estate Arizona.